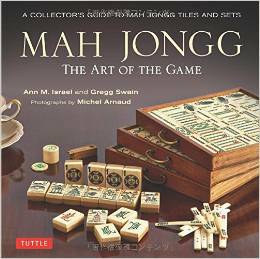 Like most other cultural phenomena, Mah Jongg has its myths. 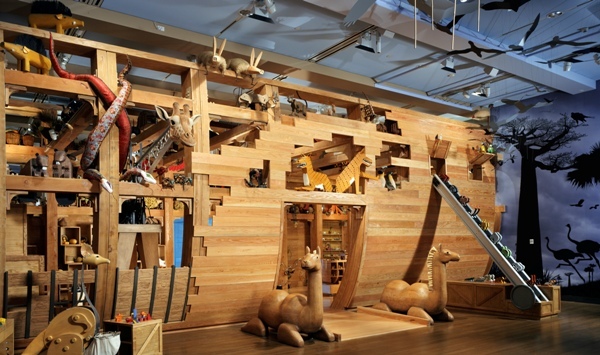 One of these is that it was played on Noah’s ark during the 40-day flood written about in the Bible. 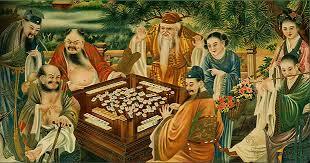 But the most popular story may be that, like many other Chinese icons, Mah Jongg was invented by Confucius. There’s no proof of this, of course, but it’s definitely a romantic theory. And the theory is supposedly made more believable by the fact that Mah Jongg’s Dragon tiles symbolize the three Cardinal Virtues taught by Confucius – Benevolence, Sincerity, and Filial Piety. But Confucius didn’t have to invent the game for the tiles to carry these meanings. It’s always possible that whoever did invent it was a follower of Confucius and gave the Dragon tiles those meanings as a sign of respect. The one fact that no one seems to dispute is that Mah Jongg was invented by the Chinese. They’ve been playing tile games, like dominoes, since the 12th century. But Mah Jongg is played more like a card game. So it’s possible that it was a card game that was adapted or evolved into a tile game. 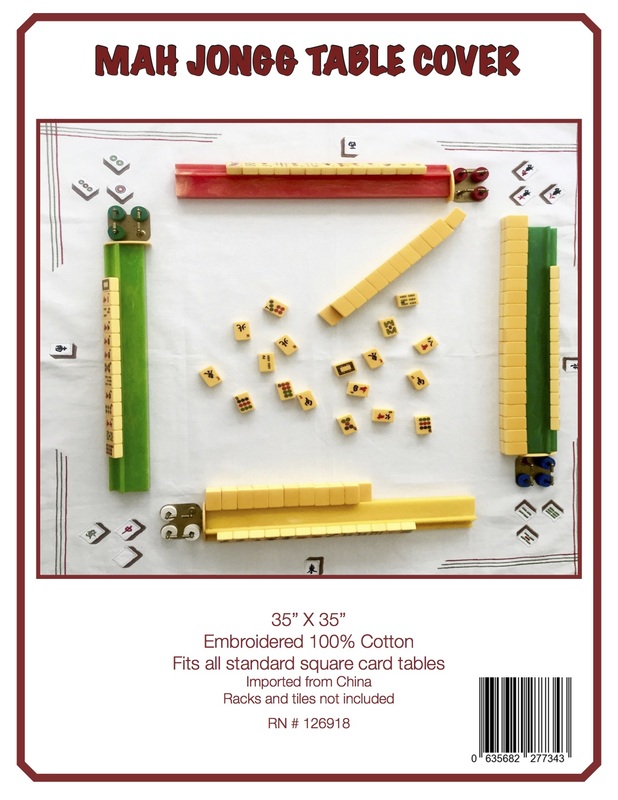 There is no written record of Mah Jongg before the late 1800s, and at that time it was exclusive to China – specifically to the area around Shanghai. But it soon spread to other parts of the country, and in the process was made more complicated by the introduction of many rituals, including a particular way of shuffling and the building of four walls with the tiles. These rituals may have been instituted to make the game more mysterious and interesting, but it’s more likely that they were designed to prevent cheating, since Mah Jongg was originally a form of gambling. Babcock’s Mah-Jongg spread quickly through the U.S. and became almost an overnight fad. At the height of its popularity, sometime around 1923, the game ranked sixth among exports from Shanghai. But the fad died out by the end of the decade. In China it continued to be popular, and was even played during the Cultural Revolution of the 1960s and 70s while it was officially banned. Eventually, though, it was “reintroduced” and allowed as a sport. 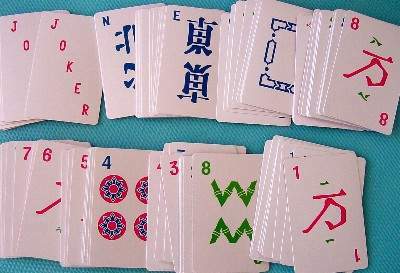 Mah Jongg’s (or Mah-Jongg’s or Ma jong’s, depending on your preference) popularity was greatly increased by the development of personal computers and the internet. Now there are many different variations available, and it’s possible to play the game both alone – as a solitaire version – and in tournaments online. The graphics have improved; the original tile sets are still around, but there are many other tile designs also available, and more choices of layouts than ever before. Most include music and may even come with storylines, like journeys whose steps are taken with the solving of each progressively harder puzzle. Mah Jongg in its many forms may be a hundred or even thousands of years old. But regardless of its age, it’s still entertaining, and its adaptability ensures that it will be around for a long time to come.